Cannabidiol related products are flying off the shelves in our country. The trend is up on all cannabis-based merchandise, including various forms of hemp like CBD isolate, cream, gummies, and oil. 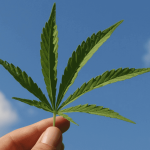 Various health professionals and journalists are uncovering some very interesting facts about this plant and this is bringing more people up to the counter and inevitably, beginning their newly founded lifestyle. More than likely if you’re reading this, you have some experience in botanicals or a wellness-minded lifestyle. A majority of our customers are Kratom advocates and rightly so, due to its own set of great advantages. However, more and more Kratom enthusiasts are crossing the bridge to the hemp side of life and are enjoying it immensely. Here’s some cool facts about isolate based cannabidiol you may not have known about. If you’re curious about CBD powder, one of the first questions you may be asking yourself is “what exactly is this stuff?”. This compound is a 99% pure cannabidiol crystalline powder. In the beginning, isolate isn’t prevalent as the hemp plant sways in the wind, however, after harvest, farmers can manipulate the plant by extracting specific molecules and the isolate is one of those compounds. Mother Nature created the hemp plant to contain the complete package of goodness. The extraction process means that even though the hemp plant comes with all of the cannabinoids and terpenes, during isolation, we only want the cannabidiol, not the other compounds. In order for this to happen, a purifying process must arise before the extraction process can begin. In doing this, a farmer will begin to filter out all of the ingredients of the plant from the extract. After this event, a “winterization process” is applied to remove any unwanted wax or other ingredients that made it through the filtration process. Basically, this entire practice leaves the farmer with a pure form of cannabidiol. Since the hemp plant is a close relative of the marijuana plant, they both share some of the same attributes. THC is one of these attributes. 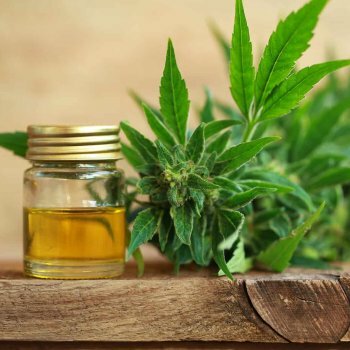 The ever-popular CBD oil is created by using the entire hemp plant. THC makes up a small portion of the ingredients in the CBD oil. While the hemp plant does contain the THC compound, it is only in low volumes. By the time a consumer purchases their hemp oil it contains only 0.3% THC. Isolated forms of hemp extraction do not contain any THC and CBD isolate is no different. It is through the extraction process we mentioned above that gets rid of any THC or psychoactive compounds which could “get you high”. Scientific research has proven, even though the hemp plant contains THC, it is in such low volumes that it doesn’t produce these effects on the brain. However, extracted forms of cannabidiol, like gummies and isolate, do not contain any THC at all thanks to the isolation process. Since your dose will be in powdered form, there are plenty of ways you can use it. Because of the limitless applications, a first-time use can have a lot of fun experimenting with the various options. You will be surprised to learn that this powder is tasteless and odorless. Here are some ideas of how you can apply this to your dose. Place it under your tongue – This is by far the easiest way to dose isolate powder. Essentially, you will use it the same way you would dose with CBD oil. Place this under the tongue and hold for about 60 seconds. This allows the delectable hemp ingredients to be delivered into the bloodstream quickly. Since it has no taste, you can’t even tell it’s there. Use With Essential Oils – If you’re an essential oil buff you already know the power these oils can bring to your life. Mixed with coconut oil, you can make a nice rub, using various essential oils and a teaspoon of isolate. Here’s one mixture we recommend: 1 tsp isolate powder, 1 drop of lavender oil, 1 drop of frankincense oil, 1 tbsp coconut oil. Directions – Place the coconut oil in a bowl and place in microwave for 15 – 20 seconds, allowing the coconut oil to melt. Add your essential oils and use your spoon to mix. Dip your finger and apply the oil to the desired location on your body. Mixed – Your new isolate products can mix well with your morning coffee, orange juice, tea, or smoothie. Once again, since the powder is tasteless you won’t even notice it. This is a perfect way to introduce your body to this new product. Vaping – Our isolate can also be used in your CBD vape pen as well. Please remember there are special pens for vaping concentrates and this is the style you will need. The metal heating coil vaporizes the isolate concentrate allowing you to enjoy yet another aspect of dosing this product. Since our product is 99.8% pure the coil life of the pen will last a little longer. Note: please remember not all CBD is meant to be vaped. There are countless experiments you can try. Get creative and use what you have around the house. Honey would be another great item to use with it. Which one of these sounds like you? CBD isolate is another extension of the hemp plant. Shamanism has shown us the important connection humans have with plants. It keeps us educated and continues to build on the relationship that man has with its counterparts on the earth. The hemp plant is one of the oldest plants known to have been experimented with by early man. There are so many aspects of health and wellness that could open our eyes to the limitless possibilities these plants have. If you’re thinking about branching out into the hemp world, extracted products are a great place to start.